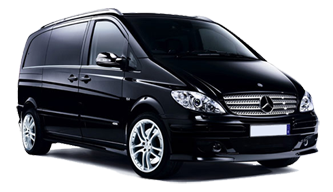 Minibus Transport Solutions company provides luxurious and elegant minibuses at affordable prices in Chigwell. We also provide Airport Transfers Service Chigwell to all major airports of the city like Heathrow airport, Gatwick airport, Stansted Airport Taxi Service, Luton airport, London city airport, Manchester airport, Birmingham airport, Glasgow Airport Minibus with Driver and all those facilities which suit the standard. We also have made categories to suite your affordability. With this option, you can log in to our website your query containing place of pick and drop, time to travel, range after observing pricing plan and days of tour. We will make adjustments in our facilities to suite your demand. You can book our 7, 8, 9, 12, 14 and 16 Seater Minibus Hire Services Chigwell at 24 hour for business and family events like marriage, birthday, dates etc. For dry ports and sea ports you can avail our meet and greet service in which the driver will pick you from your mentioned place and will drop at your desired location. It especially suits to those who are new in England and have no one for guidance. As the driver will guide you every basic help regarding your travel and work. We have maintained risk free environment by ensuring drug free employees. Our company conducts lab reports of our drivers on regular basis to ensure your safety. Our vehicles are also tracker’s guided and emergency alarms are also fitted. It is the best way to ensure safety of our customers, so, you can send your school going children on our service. Before planning any of your event, please do make us a call and also visit our web page Minibus Transports Solutions to get aware about the facilities which we provide and pricing plan. We can also make arrangements in our service and its facilities according to your demand like if you need more space for luggage we will send a vehicle having carrier at the roof. You can also paste your complaint or suggestion at it. Your comments will be highly praised.